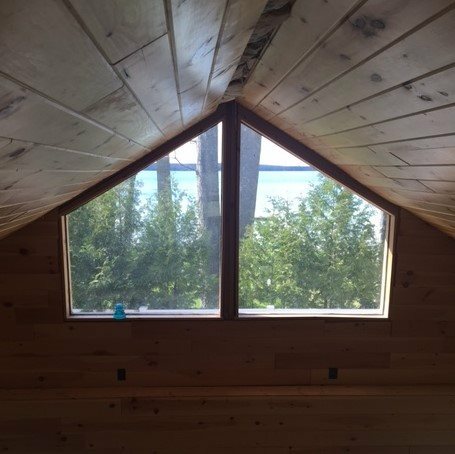 This cabin sits on Long Lake, with 4 additional cabins and a larger home. Additional cabins may also be available, so please inquire about additional units if you’re interested. 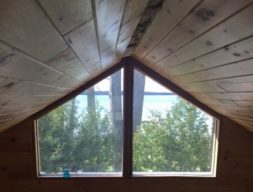 This cabin is an A Frame style with a large bedroom, loft and a sofa-sleeper, and is just over 1000 sq. feet. It’s also located the closest to the water. The additional cabins have two bedrooms and one full bath and are about 750 sq. feet.